Wow this is awesome! Thanks for posting! 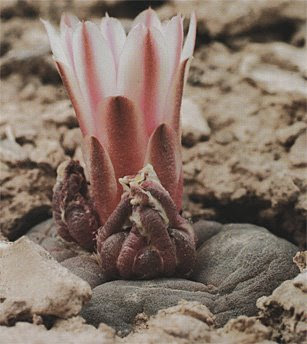 I wonder why the flowers of the Lophophora in the third picture from the top look so different than the other Lophophora alberto-vojtechii flowers? 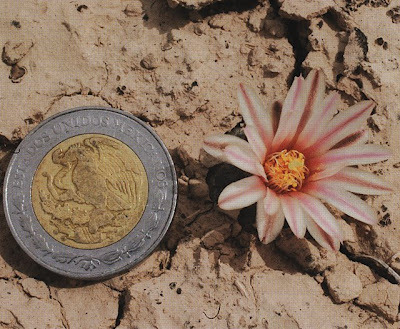 That plant is from the Zacatecas site, the others are from the type locality in northern San Luís Potosí. 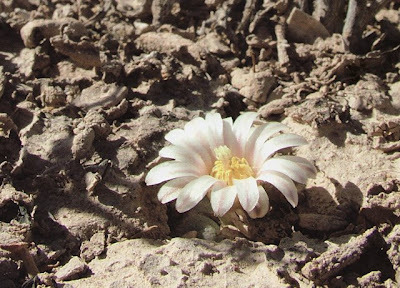 According to the article the Zacatecas plants have brighter flowers, but judging from the photos the petals also look slightly wider and denser set than those of the type plants. But then again, one shouldn't put too much into a couple of photos of a few plants - the plants are from different sites and are almost bound to have some variation. 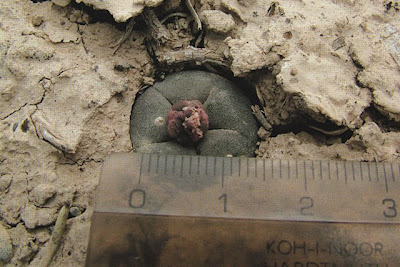 ¿Pure silice soil (above 2-4mm) is right for lophophora? Your coldhouse experiments are very interesing, I just discover in this pages that lophos can survive to -5ºC in a extreme dry conditions. In general most fast draining soils will do. I usually mix in some loamy and gravelly sand, and also some unperfumed (and unused ;-) cat litter made from burnt "moler" - I don't know the English phrase for "moler" but it's a marine diatomite deposit occurring a few places in Denmark, that consists of diatomaceous earth (approximately 60%) and bentonite clay (approximately 40%). The "moler" cat litter is a very lightweight material that retains water easily without the soil getting soaked. 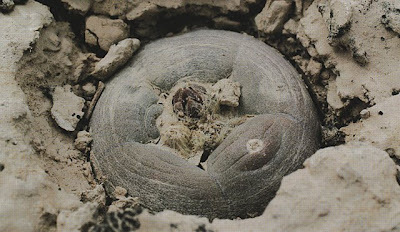 The only other mention I have seen of Lophophora alberto-vojtechii in the literature is in the 3rd installation of Martin Terry's article series, Stalking the wild Lophophora (Cactus and Succulent Journal, vol. 80:6, pp310–317). 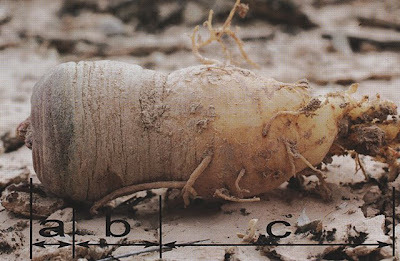 The species is not mentioned in the article text but is included in the distribution map given for the Lophophora genus. I haven't seen Lophophora alberto-vojtechii in cultivation yet but am in contact with a couple of retailers that expect to have it "soon" ;-) I guess we have to be patient - anyway I'll wait for the seeds to be offered by a reputable retailer before getting any myself. Santallum, thanks for sharing your results. I would be very interested to learn the germination rate you obtained for the last 20 seeds - as described in this post my own results are similarly disgruntling. Thanks so much for this wonderful, excellent and informative blog! Ade / Santallum if you have photos you would like to share please leave your contact information via this contact form.